Leawo iOS Data Recovery for Mac 75% Off Now! A must-have and the World’s No.1 multifunctional iPad/iPod touch/iPhone data recovery software for all Mac users! As an iPhone, iPad or iPod touch user, you may occasionally come up with data loss issues with your iOS devices. If you want to recover deleted or lost files from iPhone, iPad or iPod touch, or retrieve files from the iTunes backups with ease. Leawo iOS Data Recovery for Mac is ready to help. Leawo iOS Data Recovery for Mac provides fast and safe data recovery experience for all iOS devices users, and it helps users to recover data from iTunes backups and iOS devices. The software also helps users to backup iPhone, iPad or iPod touch files to computer with ease. This multifunctional iPad/iPod touch/iPhone data recovery software helps to recover files even when the iOS device is damaged or broken. Leawo iOS Data Recovery for Mac helps users recover up to 12 kinds of files from iTunes backups even without the iOS device, including Camera Roll, Photo Stream, Photo Library, contacts, messages (SMS, MMS, iMessage), message attachments, call history, calendar, notes, reminders, voice memos and Safari bookmarks. The iPad/iPod touch/iPhone data recovery enables users to recover 6 kinds of files from iOS devices even if the iDevice is damaged or broken, including contacts, messages, notes, reminders, calendar and reminders. The software also helps iPhone 4 and iPod touch 4 users to recover files under DFU mode, and it also recovers the same 6 kinds of files. Leawo iOS Data Recovery enables users to backup iPhone, iPad and iPod touch files to MacBook separately. The software will scan the 12 kinds of files from the iTunes backups or iOS devices, and users are able to preview the kind of files in the software and select the ones they want to backup. Leawo iOS Data Recovery for Mac fully supports the latest iOS devices, including iPhone 5s, iPhone 5c, iPad Air and iPad mini with Retina Display (iPad mini 2). It supports other iOS devices, including iPhone 5, iPhone 4S, iPhone 4, iPhone 3GS; iPad 4, iPad 3, iPad 2, iPad 1, iPad mini; iPod touch 5 and iPod touch 4. Leawo iOS Data Recovery will export the recovered files to the kinds that are compatible with MacBook, including photos taken (.tiff, .tif, .jpg, .jpeg, .gif, .png, .bmp), videos recorded (.mov), Voice Memos (.m4a), Contacts (.csv, .vcf, .html), Text Messages (.csv, .html), Message Attachments (.jpg, .png, .mov, .m4a), Call history/Calendar/Notes/Reminders/Safari bookmarks (.html). Leawo iOS Data Recovery provides friendly interface for all Mac users so that the users will feel easy and comfortable when using this software. Thanks to the buttons with words, users will easily handle this software. The software also has smart filter function and the function enables users to find the target files with ease. Leawo iOS Data Recovery for Mac fully supports iOS 7, and runs smoothly with the latest version of iTunes. It also works well with the latest Mac OS X 10.9. Easily turn videos into DVD movies that everyone will love to watch. Bring your memories to life! Videos from your Christmas holiday, vacation, birthday party, wedding ceremony and other special moments, transform all your video clips into incredible DVD discs, DVD Folders or ISO files with free gorgeous DVD menus. Just drag your favorite feature films into DVD Creator, adjust the videos with tools like trim, crop, effects, subtitles, watermarks, etc. and add your favorite songs as the background music. The app also contains abundant well-designed menu themes for users' options. Meanwhile, menu customization is available as well so that items such as buttons, frames, background music and text style are all editable. This application can not only burn videos to DVD 5 and DVD 9, but can also create ISO files, which are suitable for virtual drive user. 1. Support most of popular video formats, such as MOV, MP4, AVI, MKV, M2TS, MPEG and FLV etc. 3. Support almost all camcorder videos, iTunes videos, iPad&iPhone videos, etc. 4. Add subtitles, apply special effects and watermarks, rotations, crops, and trim video files… You can do more on your DVDs. iFunia DVD Creator is a good tool for you to make videos into DVD movies,especially from your holiday videos. Get it today! Q. Say I'm in Safari or whatever and want to add or visit a bookmark. What is the process? A. BookMacster accommodates two usage styles. If you leave BookMacster running, you can use one of BookMacster's Global keyboard shortcuts, Dock menu, Status menulet, menu items in Firefox, toolbar button in Chrome, or a bookmarklet to add the new bookmark to BookMacster directly. The second method gives you a a more powerful interface for placing the bookmarks in the desired folder, and allows you to add tags or other attributes which may not be supported by the browser you happen to be in. In either case, if you have switched on syncing, the new bookmark will be synced to the other browsers, and, by extension, your other devices if you have so configured them. Q. With so many interfaces, will BookMacster be in my way? A. If you have activated syncing and are not adding bookmarks directly, BookMacster need not even be running; you will launch BookMacster only if and when you want to use it to reorganize your bookmarks. BookMacster's global Keyboard Shortcuts, Status Item (menulet), Menu Items in Firefox, Toolbar Button in Chrome, and Bookmarklet are all opt-in preferences. Even if you leave BookMacster running for direct bookmarks access, you can set a preference to run BookMacster in the background (which means it will not appear in your Dock or ?-tab Application Switcher). Q. Is there a version of BookMacster for my iPhone or iPad? A. No, because it is not possible to sync bookmarks with other applications on iOS, such an app would not be very useful. BookMacster works around this limitation by managing the browsers' bookmarks on your Mac. By then syncing your browsers between Mac and iOS, using iCloud Safari or Sign In to Google Chrome, you've got BookMacster-managed bookmarks on your iOS device too. Q. Does BookMacster support multiple profiles in Google Chrome and Firefox? Q. Does BookMacster work with other apps besides Safari, Firefox, and Chrome? A. For automatic syncing, BookMacster works best with Safari, Firefox, Firefox Aurora, Chrome, Chrome Canary and Chromium, because BookMacster can detect, import and export bookmarks changes to them while they are running. BookMacster can also import from and export to Delicious, Pinboard, Diigo and Google Bookmarks. BookMacster also works with iCab and Roccat and, for long-timers, OmniWeb (including the new OmniWeb 6), Opera 12 and Camino. Q. Do users like BookMacster? Q. By the way, what has happened to all of the other bookmarks management apps? A. Five to ten years ago it was fairly easy to engineer your way into the bookmarks of Safari, Firefox, Opera, etc. However, in recent versions of these browsers, accessing bookmarks has been complicated by new features such as multiple profiles, and the browsers' own proprietary syncing services, and the apparent desire to keep users in walled gardens. The increased difficulty has certainly been a factor in the others dropping out, or, sadly, continuing to offer outdated products which can result in data corruption. BookMacster is a solid product that is still on the ball. Some of the images and logos used in this offer are copyrighted, and their owners do not endorse BookMacster, nor any other product or service offered by Sheep Systems. Buy 6 Awesome Apps with 5 Licenses each (Gift Friends and Family) worth $1000 for an insanely low price of $39.99. Track your resolutions and grow better habits, organize your tasks and project, stream line your social media life, get in control of your finances, capture your life's moments and track your time seamlessly using our bundle of life changing apps. Habits is a life-altering framework for developing new habits. Based on proven principals. Habits uses the tried-and-true principal of repetitive activity to help you form new habits. Packed with helpful tools. Create individual calendars and notes to track your daily activities and reach your habit-forming goals. Designed for simplicity. Jot down your daily notes with Habits' chalkboard-style layout. Creating goals and monitoring your progress has never been easier. Creates Accountability. Share your decision to create or break habits and to follow resolutions to your friends and family via FaceBook. Get Motivation and Support. Create a Social Support Group in Facebook and get motivation, comments, supports and even gifts of doing a habit for a period of time. Helpful, simple and intuitive. Get started in seconds; no need for guides or books. Start recording your finances just seconds after launching the app. Time is money; let's start saving both. Notes, tags, and locations. See all the transactions from a particular location or with a specific tag. Save reference numbers or bill numbers using notes and never miss a detail. Elegant reports and charts. MoneyBag generates stunning and highly informative reports of various types for the user like quick overview, budget analysis, expense analysis, savings report and monthly reports. Seamless cloud sync. Sync your transaction data across multiple Macs using the power of Cloud Sync and free iphone App. Simple and intuitive interface to get you started within minutes. Simplified app flow makes task management a breeze. Quickly track all your tasks in a simple and elegant layout arranged by category and also by completion dates. Custom categories & reminders. Create your own categories, choose an icon, and enter tasks in them. Set up reminders for tasks in advance. Monthly calendar view. Get the overall picture of all your tasks for a month using the calendar view. Check tasks using the quick view for each date. Seamless cloud sync. Sync your transaction data across multiple Macs using the power of Cloud Sync. Simple and beautiful Journal For Your Mac, iPhone and iPad to capture the every beautiful moment of your life. Capture all your life moments as they happen and view them as a personal timeline. Go back and relive the moments of any day. Add the photos of moments and add color to the moment and view all the moments of a month in a lovely calendar view arranged by tags. Add tag, type, emotion, weather and location to your journal entry and print. email or share in a click. iPhone and iPad Companion app to enter your moments and sync via cloud is Coming Soon. Kickstart your day. Check and manage your emails, social media, notes, tasks, and more from the menu bar. Email and social media support. Full compatibility with Gmail, Yahoo, Outlook, Facebook, Twitter, and more. No logins or logouts necessary. Enhance productivity by adding simple tasks, transactions,notes or journal and seamlessly switch between apps at unprecedented ease. Customize the app to your liking by simply switching on or off the modules based on your preference. Measure your time. Manage your life. A quick and easy way to track your time to helps you understand where it all goes. Quick access menu. Just select the activity you are working on and click start. You can also manually edit the timer if you forgot to note the start time. Productivity analysis and reports. Compare the ratio of your most productive activities in comparison with other activities in your life. Reports are provided in both detailed and summary format, perfect for freelancers and others who need to report their time. Print, email or download the report. Easily remove copying and printing restrictions from encrypted PDF files, 10.9 Mavericks Compatible. The standard security provided by PDF consists of two different methods and two different passwords, 'user password' and 'owner password'. A PDF document may be protected by password for opening ('user' password) and the document may also specify operations that should be restricted even when the document is decrypted: printing; copying text and graphics out of the document; modifying the document; and adding or modifying text notes and AcroForm fields (using 'owner' password). Sometimes you have the legal right to copy or print the encrypted PDF document but forget the password. Enolsoft PDF Password Remover is here designed to decrypt protected PDF documents and remove passwords and restrictions on printing, editing, copying, and others. It removes unknown owner passwords and known user passwords from PDF files. It is very easy to use. It can deal with multiple PDF files with batch process. √ Remove owner password directly, your PDF file is 100% editable, searchable, copyable and printable. √ Remove PDF file which protected by user password: you need to type the password to unlock the PDF file manually, and then PDF Password Remover can create unlocked PDF copy of the original file too. √ Batch remove passwords from multiple PDF documents. √ Fully compatible with the latest Mac OS X 10.9 Mavericks. - OS: Mac OS X 10.6 Snow Leopard, Mac OS X 10.7 Lion, Mac OS X 10.8 Mountain Lion, Mac OS X 10.9 Mavericks. – 1G Hz or above Intel processor. – 512 MB physical RAM (memory) or more. – 1024×768 or higher resolution display. Easily mixing audio, music video and karaoke with ultimate DJ mixing software. Whether you’re mixing audio, video, or even karaoke files. CuteDJ offers everything you need to intuitively play, scratch and remix. Simply create perfect DJ sets and bring your music collection to life with just a few clicks! Whether your musics come from iTunes or from your computer's hard drive, simply drag & drop your favorite musics onto the deck or into the playlist and you're ready to go – either on a PC or a Mac. Long time CuteDJ customer. I like the fact that you don't have to read a novel about the program just to use it, everything is laid out in front of you just like a DJ console. Very stable for video and karaoke. · DJ MIDI Controller Support - With over 50 DJ MIDI/HID controllers supported natively (zero-configure) out-of-the-box, CuteDJ gives you comprehensive hardware control for your mixes. Additional MIDI-IN with easy to use MIDI-LEARN (map your own MIDI controller). for your next live DJ performance. and advanced auto-mixing including Mix-In/Mix-Out points. can be added into the mix. SYNC button and the 2 tracks are perfectly aligned. · Auto cue, loop, slice and mash your video and audio mixes in perfect sync, with every beat. · Support various formats such as mp3, m4a, wma, aac, ogg, wav, flac, aiff and video m4v, mpeg, avi, flv, mp4, mov, mkv, wmv and karaoke files cdg+mp3, cdg zip, etc. · With its cutting-edge beatlock engine, your songs will always stay on the beat, and you can work your mixes incredibly faster than any other DJ. · CuteDJ works cross-platform, so your purchase will work equally well on a Windows computer as it will on a MAC! Free up data exchanges between Mac, Windows and Linux! The first solution to support OS X 10.9 Mavericks! Get ull access to Mac HFS+ File System from Windows! Experience total communication between Mac® & Windows® with the industry’s highest performing file system technology Paragon HFS for Windows is the only solution that provides full read-write access to HFS /HFSX partitions on any type of disks (GPT, MBR) under most of Windows versions! Access Mac-formatted partitions in Windows systems with the fastest and most stable HFS driver on the market. Get all these essential tools now for just $29.95! Leawo Blu-ray Ripper Mac 67% Off Now! The world’s Best Blu-ray Movie Ripper and DVD Disc Ripper for Mac users (10.9 Mavericks supported)! As nowadays everything is going digital like movies, games, photos, music, etc. have you ever thought of ripping your Blu-ray and DVD discs to digital media files for easily carrying, storing and conveniently playing? Leawo Blu-ray Ripper for Mac provides you the easiest and fastest way to turn your Blu-ray and DVD collections into digital copies on Mac. It could rip Blu-ray/DVD to video and audio in various formats for saving on Mac, convert Blu-ray/DVD for playback on any media players, decrypt copy protected Blu-ray/DVD discs to make them region free, etc. Actually with this Mac Blu-ray ripper software, you can play, edit and share your Blu-ray and DVD movies whenever and wherever you like! Leawo Blu-ray Ripper for Mac supports to load Blu-ray/DVD from Blu-ray/DVD disc and folder, letting you rip Blu-ray/DVD to video and audio in 180+ prevailed formats like HD MP4, HD AVI, HD MOV, HD TS, HD TRP, HD VOB, MP4, WMV, MOV, MKV, FLV, AAC, AC3, M4A, MP3, etc. This Mac Blu-ray ripper could rip Blu-ray/DVD for playback on various media players like iPhone 5S, iPad Air, iPad Mini, iTunes, QuickTime, Apple TV, etc. Besides, you can edit ripped Blu-ray/DVD on iMovie, and upload to YouTube, blog or other sites for sharing. Leawo Blu-ray Ripper for Mac perfectly supports to decrypt and convert Blu-ray disc with AACS, BD+ and the latest MKB protection, and commercial CCS-DVD. It could even remove the disc region code and make disc region free. Functioning as a fashionable 3D creator, Leawo Blu-ray Ripper for Mac is able to convert 2D Blu-ray to 3D video with 6 different 3D effects available for selection. The created 3D videos can be shared to YouTube 3D channel or played on any 3D players. Leawo Blu-ray Ripper for Mac comes with various powerful DIY features, allowing you to freely crop video image size, clip video segment, adjust display effect, rotate video angle, add watermark, merge files into one, customize advanced video and audio parameters, choose subtitles/audio tracks and more. Leawo Blu-ray Ripper for Mac features pretty easy-to-use program interface. Even novice could use it properly. Besides, ultra-fast Blu-ray and DVD ripping speed is ensured. The ripped Blu-ray and DVD also gets high video and image quality. 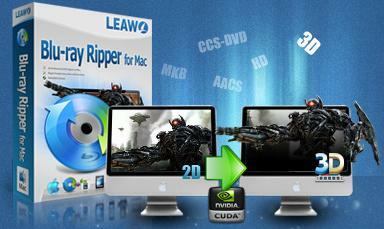 Leawo Blu-ray Ripper for Mac is fully compatible with Mac OS X 10.6, 10.7, 10.8 and 10.9. These actions from PhotographyPla.net use non-destructive layers and adjustment layers, leaving the original photo intact and unaltered. This means that you can try an action, and if you don't like it you can just delete the results of the action and try another one. Also, you can tweak the results to suit your own needs by customizing the adjust layers (example, changing opacity, blend modes, editing curves and levels). This makes it possible to get the best results for the specific photo that you are editing and it makes the actions more versatile and useful for a greater range of photos. Hundreds of elements in a modern, flat style. The great thing about these elements is that they can be easily combined between each other in order to create beautiful infographics, illustrations, gift cards, include them in websites or in any other project – both web and print! - This collection is divided into 10 different categories, such as: Social Media, Electronic devices, Beverages, Food, autumn, summer, spring, Season Greetings and not only. - Hundreds of elements in a modern, flat style. - Perfect for both beginners and pros. - Editable .Ai and .EPS files. - These elements can be easily customized and are perfect for both print and web projects. - An extended, multi-use license, allowing you to use them in an unlimited number of personal and commercial projects and even in merchandise for mass distribution. And now you can get this set for an incredible price of only $19 instead of its regular value of $150! Still not convinced? Download a free sample containing lots of autumn vector elements to mix and test them as you want. Just click on the image below for an instant download!
? Files are delivered as an instant download – All these files are suitable for both Windows and Mac OS – To use these files you need Adobe Illustrator CS+ or any any other similar application which supports .AI or .EPS file formats – Files have an extended royalty-license and can be used in an unlimited number of personal or commercial projects ? Reselling, sharing, redistributing and giving away is NOT permitted.